Somlo London is London’s leading specialist in antique pocket watches and vintage wristwatches, with a stock of timepieces covering 400 years of horology. 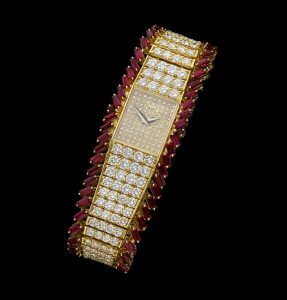 These range from early 16th century pre-balance spring watches, fine quality enamels, complicated repeaters and elegant Art Deco cocktail watches, to contemporary wristwatches by well-known leading houses. The science of measuring time has over the centuries produced vintage watches and antique pocket watches that are works of art and a triumph of craftsmanship. Established in 1970, Somlo Antiques prides itself on acquiring the very best examples to satisfy the most avid watch collectors.